Today we’ve been chatting to the beauty and the brains behind the gorgeous artisan beauty brand Ouish Boutique. Nadia Mansour was born and raised in the Sultanate of Oman and is half British and half Palestinian. With a background in Interior Design, she’s been lucky enough to travel the world and experience lots of different people and cultures. 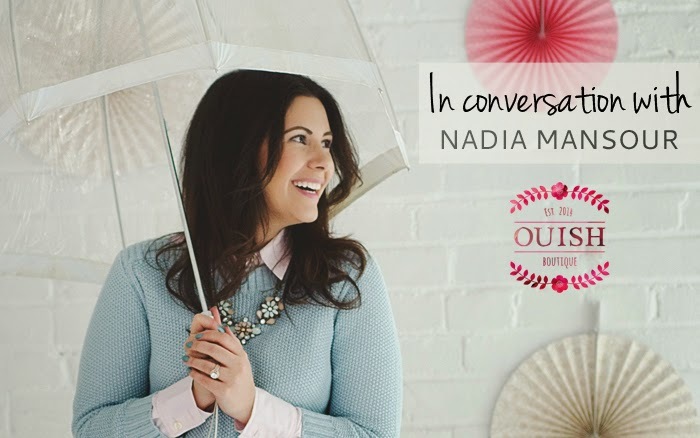 Her loving husband and family are her driving force and the source of encouragement which lead Nadia to launch Ouish in January ’15. What inspired you to start your own line of beauty products? I have been making bath and body products for about 5 years now. It was my way of relaxing at the end of the day and on the weekends while I was going to school for Interior Design in Chicago. In fact, ever since I was very young I can remember playing with those lip balm kits that you can buy at Toys R Us. After I graduated with my Interior Design Degree I really wanted to turn this hobby of mine into a reality and therefore, I started up Ouish. In a few years as Ouish expands I hope to combine my two passions and add an Interior Design service onto Ouish too. How do you go about creating your own line? We’ve no idea! One of the very first steps to create your own line in any field would be to step back and take a look at what you have been doing for the last few years. This is usually the key in realising and understanding what your hobbies and passions have been. You also want to make sure that this is something that you really enjoy doing because if you have that continuous drive then you will never lose your passion for it. Always remember that it is your determination and passion that will translate one way or another into your brand that your customers and fans will appreciate and respect you for. Once you have a clear vision of what it is you see yourself doing from now and into the future the possibilities become endless. The next primary step would be to write down your business goals and make sure that you can invest a lot of time – and essentially a lot of money into your company from the very beginning. This part might seem intimidating but you really want to try and work with the right people such as graphic designers and photographers to really help you capture you, as well as your brand, and believe you me, the investment is totally worth it. Another major key element that has also been my driving force since launching Ouish recently is; as long as you never give up, even when you feel like you might be failing, the pay-off will come. There is no better feeling in this world than having the pleasure of knowing that you have made your customers really happy – just by them using a product that you have put time and love into developing. We love your branding and cute packaging, how did you come up with the designs? I spent months with my UK based graphic designer (who is also my very talented sister) developing the branding before launching Ouish on January 24, 2015. I really wanted Ouish to have a look and feel that was high end and ‘spa like’ yet still fun and inviting, with little pops of colour against a clean crisp background. We were very interested in the idea of developing the brand around water colour images to give Ouish that unique appearance that once well-known around the world, everyone would be able to recognise. You’re scent combinations are truly wonderful, did you create these and where did their inspiration come from? Our current body scent line consists of Vanilla Fig, White Tea & Ginger as well as Verbena. These were chosen so that people would be able to mix and match the scents together. These three scents work so well in unison with one another that in fact; I mix all three together on a daily basis. We are however, planning on expanding our body scent range fairly soon with new and unique scents so make sure you stay tuned for that! As far as our facial line that has our signature Acai & Hibiscus scent, I really wanted to develop a line that was super refreshing and not something you would typically experience in any facial line series. The scent is so tropical, extremely refreshing and it is perfect at uplifting you in the morning and refreshing you at night before bed. More and more people are starting to buy handmade and independent beauty products, why do you think that is? I believe that a lot of people are more interested in artisan products because you are able to experience products that you wouldn’t necessarily find mass-produced. Not only that, but there is a huge community of people that love to support small and local business such as Ouish. Aside from this a lot of small business owners such as myself work really hard in developing that customer/owner friendship. I believe that by connecting with your customers,’as well as being yourself, gives your customers a chance to get to know you and therefore, allow them to respect and appreciate the hard work that you put into your company. This in turn translates to developing a lot of trust between you and your customers, and their support and encouragement is more than anyone could ever ask for to a small owner operated business. It is definitely a labour of love. What’s your favourite product from your range and which is the best seller? Personally, my favourite product has to be my body oils. My signature blend of ingredients leaves your skin so smooth, soft and gives you that lovely glow without the heavy and greasy feeling. This is my go-to product that I use religiously every single morning. As of now we have two best selling products one being our Miracle Oil, which is your all-in-one product. I have customers that use this Miracle Oil on everything from rashes, to acne, scarring, psoriasis, eczema and cold sores just to name a few. It is loaded with our blend of all natural oils that help naturally restructure and soothe the skin. Our next best seller is our ever so cute Bath Muffins. These bath muffins really pack a punch and after about a month of developing them our customers are crazy for them! They are a hybrid between a bath melt and a milk bath giving you a very luxurious and hydrating bathing experience – unlike anything you have had before. You just have to try them! They are also available in our monthly Ouish Boxes, which feature 4 bath muffins per month in unique and special edition scents and themes. 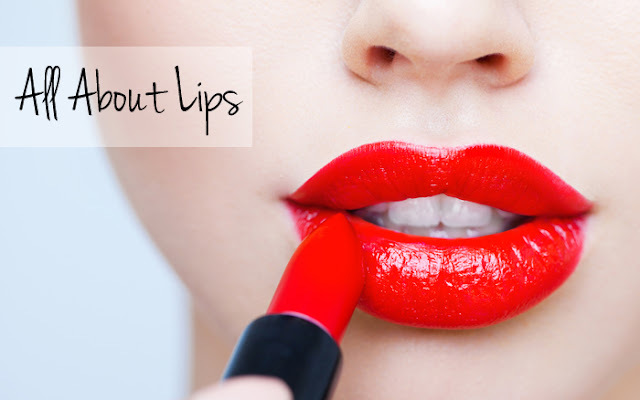 Do you have a guilty beauty pleasure? I have lots guilty beauty pleasures but the one I have to mention would be dry skin brushing in conjunction with using Ouish for the rest of my skin care routine. If you haven’t already read my blog post about it (read it here), you definitely need to! This is the ultimate and in my opinion an essential weekly regime for getting baby soft skin. There is also something so therapeutic about exfoliating your body. You just have to try it out to believe me! I am one of those people that aren’t blessed with beautiful thick and luscious eye brows and so I absolutely could never go without my IT Cosmetics Build-A-Brow product. This cream based product is so waterproof, versatile in colour and leaves you looking pretty as ever! What’s next for Ouish, have you new products planned for 2015? I have a few products planned for Ouish this year such as a body butter, a face mask, a USDA Certified Organic Baby Line as well as some more bath related products just to name a few. We will also be expanding our scent line with some very unique scents so make sure that you stay tuned for those releases!